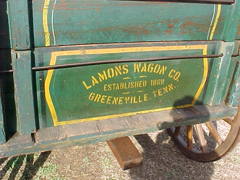 The Lamons Wagon Company of Greeneville, Tennessee was established in 1868. 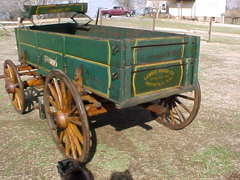 Building wagons well into the 20th century, Lamons was a competitive maker and enjoyed a strong following on both the local and regional scene. 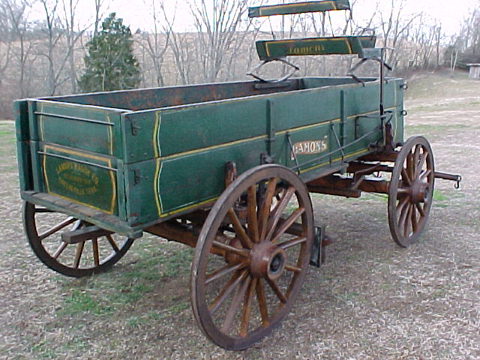 This vintage Lamons farm wagon retains virtually all of its original paint, pin striping, and logo signage on the box while the gear and wheels show signs of age through the loss of a considerable amount of paint. Even at that, the undercarriage has been well cared for with remaining paint, pin striping and important maker markings still quite visible. 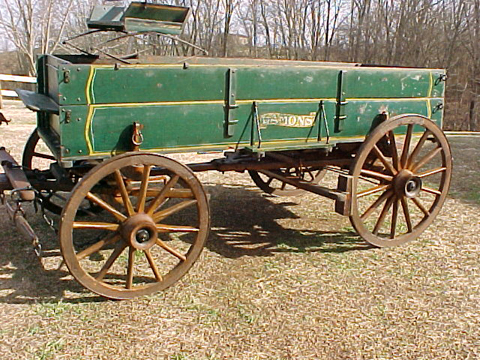 The 2 3/4 gear sits on a set of 36” front wheels and 40” rear wheels. Capacity is listed as 2500 lbs. 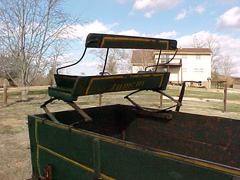 Utilizing a wide 42” (measured outside to outside) double box, the bed is 10’ 6” in length and is topped by an original Lamons lazy back spring seat. The seat is in excellent condition and still sports the bright paint and flowing lines of the scripted Lamons logo. 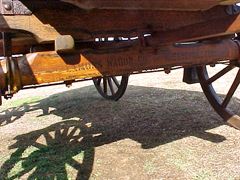 At some point, the original brake blocks have been replaced. 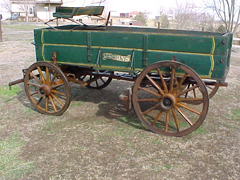 Like many vehicles in our overall Gallery Collection, this wagon still includes its original doubletree and singletrees, wheel wrench, and tongue. 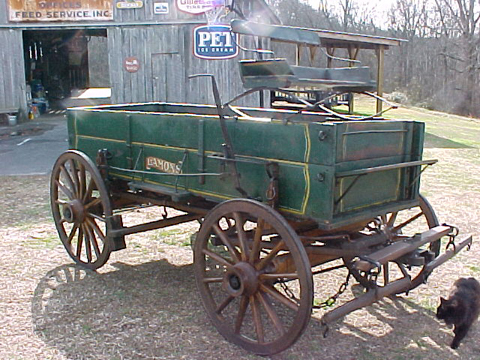 Other original accessory features include a footboard, and brake .